MASBATE CITY, Masbate, April 7 — PNP Masbate provincial director confirms illicit drug trade happening inside detention cells. Trading (pushing) of illegal drug thrives and was happening under the nose of the Philippine National Police officers in the holding center of the PNP provincial police office in Camp Bonny Serrano, here. Other than housing temporary suspected criminal elements, in the detention cells are also being kept the object of the drug trade. 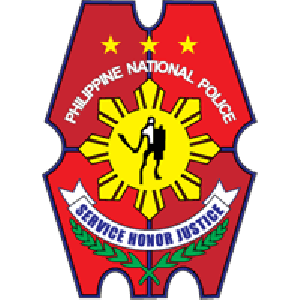 Hard proof that the prohibited drug and dealings are a common occurence was confirmed by the (separate PNP) raiding team which seized from detention cell number 3 a stash of cash of P17,300 and two sachets containing shabu (Metamphetamine Hydrochloride) and drug paraphernalia. In another cell, number 2, cash found amounted to P10,060 including a cellphone and a sachet of shabu. The provincial police director of the province, Jesus Centino Martirez, confirms the drug trade after the “raid” was over. Detained occupants facing criminal charges prior to discovery of drugs in their cells are identified as Lito Vasquez on cell number 1 and Garry Franco on cell number 2, for suspected violation of RA 9165 or the dangerous drugs act and RA 10591 or the comprehensive firearms and ammunition regulation. This entry was posted in BICOL NEWS NOW, NEWS, NOAH and tagged full satire, Masbate, metamphetamine hydrochloride, National Police, shabu. Bookmark the permalink.